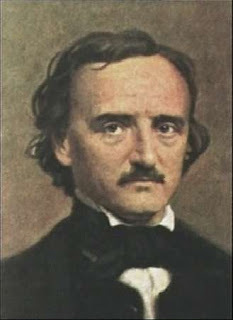 Born January 19, 1809, Boston, Massachusetts, U.S. American short-story writer, poet, critic, and editor Edgar Allan Poe's tales of mystery and horror initiated the modern detective story, and the atmosphere in his tales of horror is unrivaled in American fiction. With his short stories and poems, Edgar Allan Poe captured the imagination and interest of readers around the world. His creative talents led to the beginning of different literary genres, earning him the nickname "Father of the Detective Story" among other distinctions. His life, however, has become a bit of mystery itself. And the lines between fact and fiction have been blurred substantially since his death. The son of actors, Poe never really knew his parents. His father left the family early on, and his mother passed away when he was only three. Separated from his siblings, Poe went to live with John and Frances Allan, a successful tobacco merchant and his wife, in Richmond, Virginia. He and Frances seemed to form a bond, but he never quite meshed with John. Preferring poetry over profits, Poe reportedly wrote poems on the back of some of Allan's business papers. Money was also an issue between Poe and John Allan. When Poe went to the University of Virginia in 1826, he didn't receive enough funds from Allan to cover all his costs. Poe turned to gambling to cover the difference, but ended up in debt. He returned home only to face another personal setback—his neighbor and fiancée Elmira Royster had become engaged to someone else. Heartbroken and frustrated, Poe left the Allans. At first, Poe seemed to be harboring twin aspirations. Poe published his first book, Tamerlane and Other Poems in 1827, and he had joined the army around this time. Poe wanted to go to West Point, a military academy, and won a spot there in 1830. Before going to West Point, he published a second collection Al Aaraaf, Tamberlane, and Minor Poems in 1829. Poe excelled at his studies at West Point, but he was kicked out after a year for his poor handling of his duties. Some have speculated that he intentionally sought to be court-martialed. During his time at West Point, Poe had fought with his foster father and Allan decided to sever ties with him. After leaving the academy, Poe focused his writing full time. He moved around in search of opportunity, living in New York City, Baltimore, Philadelphia and Richmond. From 1831 to 1835, he stayed in Baltimore with his aunt Maria Clemm and her daughter Virginia. His young cousin, Virginia, became a literary inspiration to Poe as well as his love interest. The couple married in 1836 when she was only 13 (or 14 as some sources say) years old. Returning to Richmond in 1835, Poe went to work for a magazine called the Southern Literary Messenger. There he developed a reputation as a cut-throat critic, writing vicious reviews of his contemporaries. Poe also published some of his own works in the magazine, including two parts of his only novel The Narrative of Arthur Gordon Pym. His tenure there proved short, however. Poe's aggressive-reviewing style and sometimes combative personality strained his relationship with the publication, and he left the magazine in 1837. His problems with alcohol also played a role in his departure, according to some reports. Poe went on to brief stints at two other papers, Burton's Gentleman's Magazine and The Broadway Journal. In late 1830s, Poe published Tales of the Grotesque and Arabesque, a collection of stories. It contained several of his most spine-tingling tales, including "The Fall of the House of Usher," "Ligeia" and "William Wilson." Poe launched the new genre of detective fiction with 1841's "The Murders in the Rue Morgue." A writer on the rise, he won a literary prize in 1843 for "The Gold Bug," a suspenseful tale of secret codes and hunting treasure. Poe became a literary sensation in 1845 with the publication of the poem "The Raven." It is considered a great American literary work and one of the best of Poe's career. In the work, Poe explored some of his common themes—death and loss. An unknown narrator laments the demise of his great love Lenore. That same year, he found himself under attack for his stinging criticisms of his fellow poet Henry Wadsworth Longfellow. Poe claimed that Longfellow, a widely popular literary figure, was a plagiarist, and this written assault on Longfellow created a bit of backlash for Poe. Continuing work in different forms, Poe examined his own methodology and writing in general in several essays, including "The Philosophy of Composition," "The Poetic Principle" and "The Rationale of Verse." He also produced another thrilling tale, "The Cask of Amontillado," and poems such as "Ulalume" and "The Bells." Poe was overcome by grief after the death of his beloved Virginia in 1847. While he continued to work, he suffered from poor health and struggled financially. His final days remain somewhat of a mystery. He left Richmond on September 27, 1849, and was supposedly on his way to Philadelphia. On October 3, Poe was found in Baltimore in great distress. He was taken to Washington College Hospital where he died on October 7. His last words were "Lord, help my poor soul." At the time, it was said that Poe died of "congestion of the brain." But his actual cause of death has been the subject of endless speculation. Some experts believe that alcoholism led to his demise while others offer up alternative theories. Rabies, epilepsy, carbon monoxide poisoning are just some of the conditions thought to have led to the great writer's death. Shortly after his passing, Poe's reputation was badly damaged by his literary adversary Rufus Griswold. Griswold, who had been sharply criticized by Poe, took his revenge in his obituary of Poe, portraying the gifted yet troubled writer as a mentally deranged drunkard and womanizer. He also penned the first biography of Poe, which helped cement some of these misconceptions in the public's minds. While he never had financial success in his lifetime, Poe has become one of America's most enduring writers. His works are as compelling today as there were more than a century ago. A bright, imaginative thinker, Poe crafted stories and poems that still shock, surprise and move modern readers. One of my students gave this url as her blog for World Lit. Unfortunately I don't have a student named Jaye Llano. I won't bother you again. Thanks. Nice post BTW.